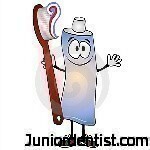 We have enlisted more than 100 unique, interesting and wired facts related to Dentistry. While going through different books i came through many interesting facts related to dentistry, mostly about the kind of dentistry which was in practice before the original dentistry practice started. So here are some of the interesting facts about the techniques and the sort of myths in dentistry. Archigenus (100 A.D.) Is a roman Physician and he was the first to ..
b.Invente the dental drill to open into pulp chamber. Long ago, people used to ground up chalk or charcoal, lemon juice, ashes or even a mixture of tobacco and honey to clean their teeth. It was only about 100 years ago that someone finally created a minty cream to clean their teeth and it came to be known as Toothpaste. The Greek physician Hippocrates (400BC) suggested a toothpaste made from three mice and the head of a hare to cure toothache. Before toothpaste was invented people used dry, rough things as an abrasive to clean their teeth – like crushed eggshell, pumice or the burnt hooves of animals! A third of the population squeeze their toothpaste tube from the middle. The world’s oldest-known formula for toothpaste, used more than 1,500 years before Colgate began marketing in 1873, was discovered on a piece of dusty papyrus in the basement of a Viennese museum. Aztec dentists used to mix Iron fillings, water and navel lint bake and insert into the cavities to seal it. In the old days when dentures weren’t invented yet, dentists would do a quick surgery in implanting teeth in the mouth a person, by obtaining the teeth from a dead persons mouth. William F. Semple a dentist from Mount Vernon, Ohm was issued the first patent in 1869 for chewing gum. The rat’s teeth keep growing constantly all through their lives, that is the reason why they bite into everything they see to get rid of the itching sensation in their gums. The biggest shark species has the smallest teeth. The 12 meter ling whale shark has more than 4,000 teeth, wach only 3mm ling. New teeth are constantly being formed in rows in a sharks jaw. Shark’s teeth are normally replaced every eight days. A shark’s teeth are literally as hard as Steel. Cows do not have upper front teeth and their lower bottom one’s never stop growing. Before toothpaste was invented people used to dry, rough things as an abrasive to clean their teeth – Crushed eggshell, Pumice or the brunt hooves of animals. Diet sodas are just as damaging as regular sodas at weakening tooth enamel. Australian mothers were said to crush their children’s baby teeth and eat the powder. In parts of England, mothers at one time burned their children’s baby teeth so that evil witches couldn’t get their hands on them and gain control of the children. In some parts of the world, a child’s baby tooth would be placed in nests where rats or snakes were known to live because people believed evil witches disliked those animals and wouldn’t go near them. In many parts of the world, parents placed their children’s teeth in mouse nests. They thought that would result in a new tooth growing in the lost tooth’s place, just as a mouse’s lost teeth somehow re-grew! In other parts of the world, mothers hid their children’s teeth from animals because, they believed, if an animal found the tooth, a tooth like that animal’s would grow in the mouth of the child. The following disgusting list are other cures for tooth problems in the past. Toothache: apply the following mixture to the corresponding shoulder: figs, saffron, mustard seed, and plaster of myrrh; boil earthworms in oil and drop the oil into the ear holes; rub the tooth with dried cow’s dung! Tooth decay: rinse with a mouthwash made by boiling dogs’ teeth in wine. To make loose teeth firm, tie a frog to your jaw. Important Message– please do not try these at home! Tooth fairy: Many people tell their children that when we loose our teeth/tooth, and when placed under our pillow before we sleep a tooth fairy comes and exchanges the tooth with a gift. These are really interesting nuggets. :) Now we get to appreciate the professional help that we get from dentists because nowadays, it is easier to maintain good oral health. Dear Dr Varun , thank you very much for your nice and useful articles . I am a prosthodontist and I found your website today. I am going to use them in teaching my students in Mashhad dental school, Mashhad, IRAN . By the way, in Aztec dental filling, filing of iron is correct. you have written filling of iron. Really glad that you liked my posts and will be the happiest person if you use the content to help students in their education. Will correct the thing pointed out. Thanks.